When you’re in Giverny – the village that was home to artist Claude Monet for exactly half of his life (from the age of 43 to his death at 86) – the term “Master of Light” will surely pop into your head at one point or another. The impressionist artist was considered by many to be the undisputed holder of that title. There is another painter who Monet considered to be the Master of Light and that artist was the Spaniard Joaquín Sorolla. 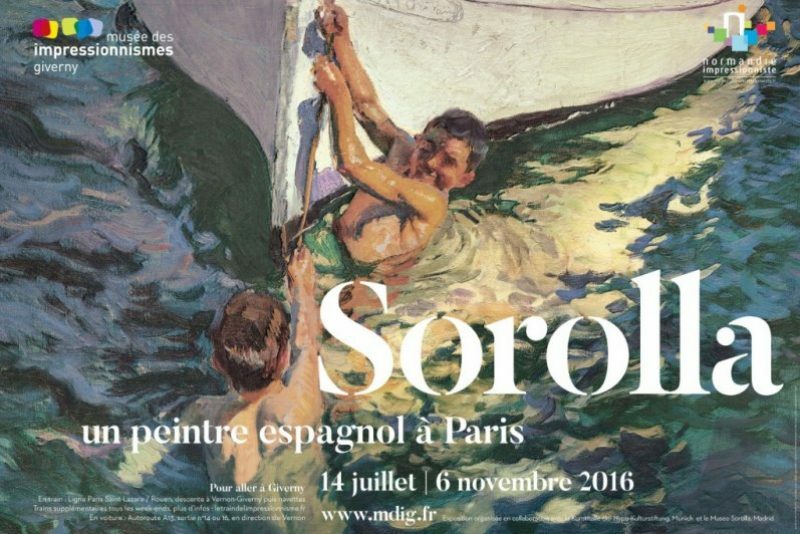 Currently running at the Gallery of the Impressionists (Musée des Impressionismes) in Giverny is a very rare exhibition of Sorolla’s work entitled “Sorolla – the Years in France”. It displays some of the work that first went on show in Paris in 1890, which brought him critical accolades from the world of art for his unique and unforgettable style of capturing light. The collection is a stunning gathering from private collections and galleries around the world (from Europe and the Americas in the main) of the kind that you won’t see again for a very long time. Sorolla’s work as well as its subject matter were looked down upon in his native Spain. Nobody else was painting coastal scenes of ordinary people at leisure as he was and nobody was able to capture light and shadow in quite the same stunning manner. His paintings were both photographic yet expressive, leaving a lasting impression on anyone viewing them for the first time. It was in Paris that his genius was first recognised and if his name remains largely unknown by people in Europe (outside of Spain), it is because immediately after his success in Paris, he was whisked off the United States, where his fame and renown went into the stratosphere. Hispanic culture was on the rise in America at the time and he became a portrait artist to the powerful and famous in the New World – even getting a commission from the President himself. The exhibition runs for another week – until November the 6th 2016. This is a week after the closure of Monet’s House and Gardens but with airline tickets going as cheap as bus fares this time of year, it’s well worth the trip! Why not get a real dose of that turn-of-the-century village feeling and stay in a little rustic stone cottage in Giverny? Just 600m down the road (heading west), an collection of old converted farm buildings owned by Eric and Christèle Boiron will allow you to savour the atmosphere of the quiet village so close to one of the world’s major cities. For more information, see www.lesrougesgorges.com.